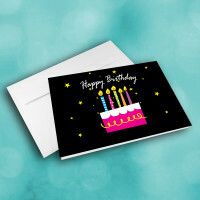 Send a bright and starry birthday greeting on someone's special day. 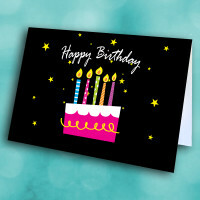 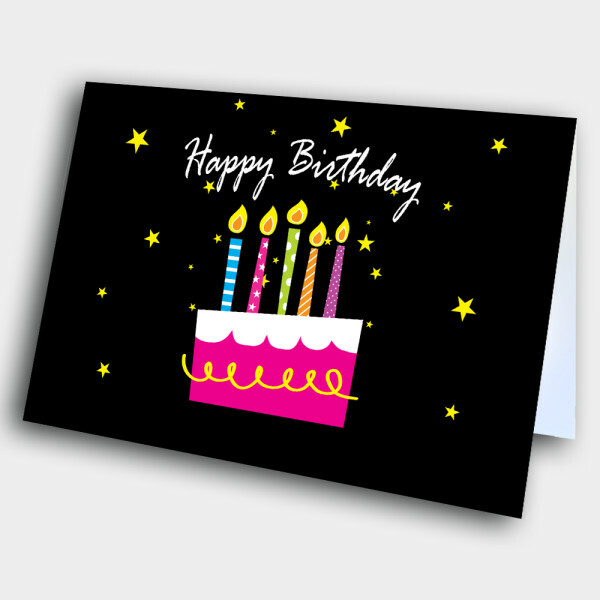 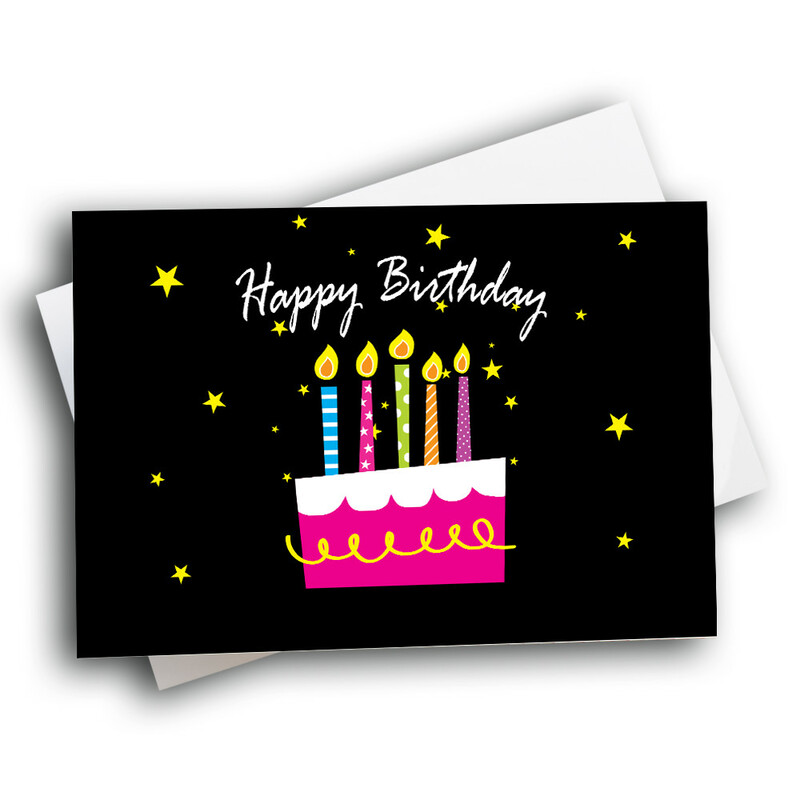 Wish someone a brilliant Happy Birthday with this festive card. Adorning the front, the rich-black background is spotted with glowing yellow stars. 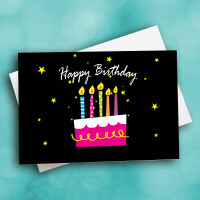 The center is adorned with a bright pink birthday cake, topped with multi-patterned candles, underneath the birthday message. 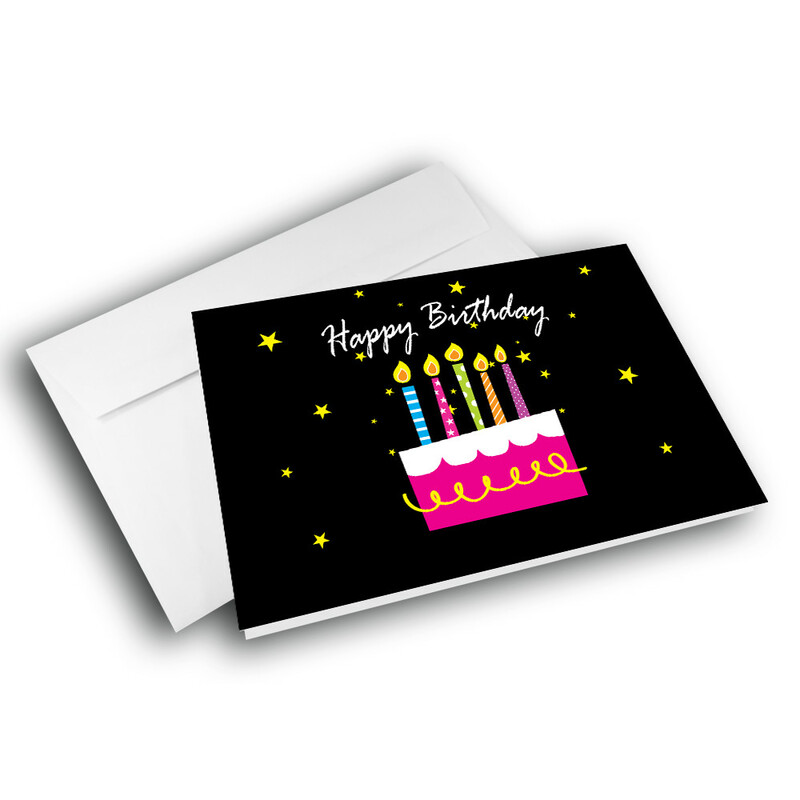 The inside can be personalized with your custom message to make this a more unique birthday card.